IT’S A MUGGY summer night in the Pantanal swamps of South America, and the monotonous drone of buzzing mosquitos and chirping crickets is broken only by the occasional call of howler monkeys in the distance. Suddenly, an abrupt rustling interrupts the gentle ambiance, and a bizarre creature with the nose of an elephant and the body of a donkey emerges from the brush. 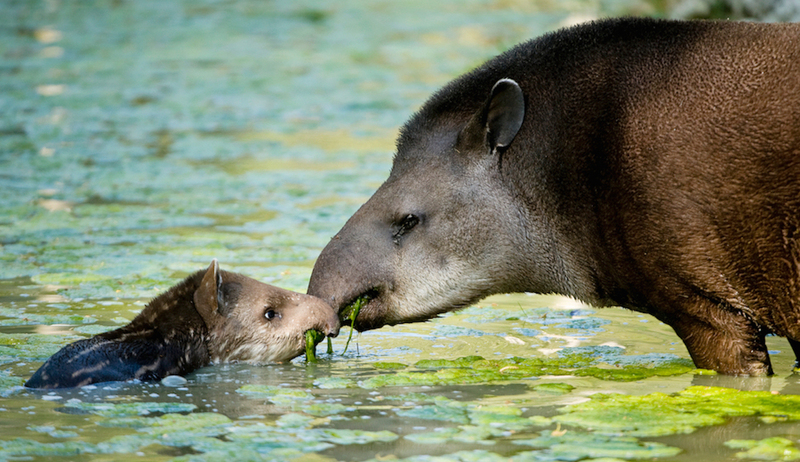 A mother tapir cares for her baby in the Pantanal swamp. Colloquially called the “gardeners of the forest”, tapirs deposit seeds via their droppings and shape regional plant diversity as a result, making them an important keystone species. Photo credit: Daniel Zupanc. The largest land mammal in South America, the tapir is a docile nocturnal herbivore that looks a lot like a large pig with a prehensile nose. They spend every waking moment either eating or searching for food, consuming up to 75 lbs of fruits and berries each night. Such a large appetite makes tapirs an important keystone species; they spread hundreds of seeds via their droppings, inadvertently promoting plant biodiversity and ecosystem health throughout their range. Tonight, this tapir’s search for food has brought him to the edge of a road. As he begins to amble across the asphalt, the bright glare of headlights suddenly emerges as if from nowhere, stopping him in his tracks. The risk of becoming roadkill is a major threat for tapirs. Other population threats include habitat destruction and poaching. Photo credit: Belize Travel Magazine. Now this story can end one of two ways. For most wildlife, the crosshairs of a motorist’s headlights foreshadows the screech of tires and a sickening thud. But for select tapirs in this swampy wilderness, headlights act as their best protection. Conservationists, who were tired of seeing tapir roadkill, devised a creative plan to protect these threatened species from oncoming traffic. The scientists reasoned that a dark colored animal like the tapir, essentially invisible to a motorist, would be safer if it could be readily seen. And the obvious way to do that is with reflective stickers. Researchers were already studying the movement patterns of the elusive tapir using GPS tracking collars when lead researcher Patricia Medici had her revelation. After a quick trip to the local trucking station, she emblazoned the dull GPS collars with sparkly red and white stickers to make the tapirs readily visible to nighttime drivers. 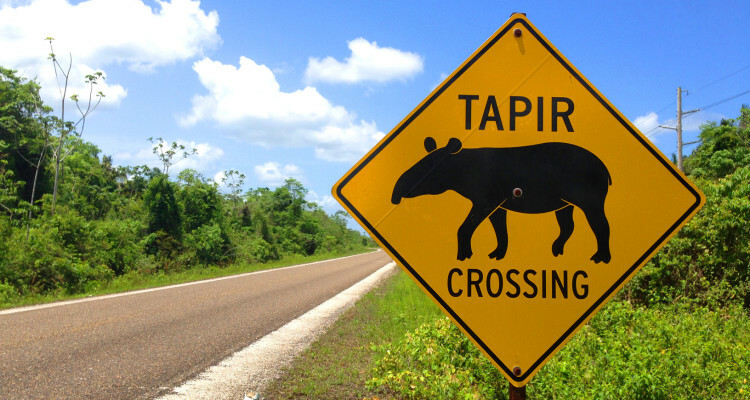 Using the inexpensive reflective stickers commonly seen on the side of trucks, scientists hope to make roads a little less dangerous for tapirs. Since the collars light up only when exposed to bright lights such as headlights, the tapirs can still roam the swamps without being seen by predators or drawing unnecessary attention. Photo credit: Patricia Medici. While her team tests the efficacy of the reflective collars, researchers in Scandinavia are investigating a similar approach to roadkill reduction using reflective paint. Fluorescent paint may be able to prevent reindeer roadkill. 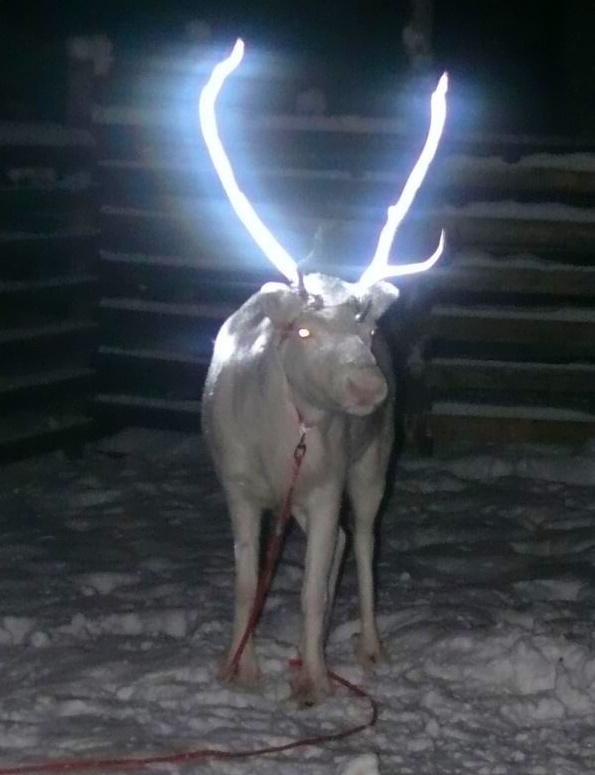 Once painted, reindeers antlers will light up only when exposed to bright light. Photo credit: APF/Getty Images. In Finland, icy roads and limited winter daylight can make reindeer herds invisible until it’s too late. These collisions kill thousands of reindeer each year and cause untold amounts of property damage. Perhaps inspired by the story of Rudolph, researchers have begun spraying reindeer antlers with fluorescent paint in hopes of alerting oncoming motorists. The project is still in testing, as researchers assess the durability and effectiveness of 20 paint varieties in the harsh Arctic climate. Making wildlife reflective is certainly a creative solution to preventing roadkill, but the approach has its limitations. Even with inexpensive reflective stickers or paint, marking individual animals may be too costly or time consuming to be an effective solution on its own, especially for rapidly reproducing or short-lived species. Still, a similar program targeting long-lived and easily captured species has the potential to be highly beneficial and effective. Turtles are a common victim of roadkill due to their small size and slow speed. Turtles live a long time, and a properly marked turtle may remain reflective in headlights for decades. Sadly, many turtles that end up as roadkill may have been 50 or 60 years old. Photo credit: Ladonia Herald. Roughly one million animals become roadkill each day in the US alone. Such accidents affect nearly all types of wildlife, and can be especially devastating for species with small population sizes. But the damage inflicted by roads is not limited to roadkill; for many species, isolation can become the true killer. Roads partition unbroken habitat into a series of small habitat islands, isolating animal populations in the process. This habitat fragmentation makes populations more vulnerable to extinction. If disease, fire, or invasive species overrun isolated habitats, stranded local populations may find themselves unable to disperse. Often times, wildlife must risk becoming roadkill to avoid regional extinction. Roads can fragment habitats and cause animal and plant populations to become isolated. Photo credit: National Geographic. To successfully reduce roadkill and ensure the survival of isolated populations, habitat fragments need to be connected. For researchers working to conserve tapirs, increasing habitat connectivity is priority number one. Thankfully, the tapir’s reflective collars are much more than a tool for alerting oncoming traffic. As researchers analyze the GPS data for patterns in tapir movement, they can identify road segments that tapirs prefer to cross. Once those areas are identified, long-term solutions such as wildlife underpasses, fencing, or warning signage can be implemented to protect all tapirs, not just the collared ones. Most people will drive for years and never encounter a reflective tapir or a fluorescent reindeer, but nearly everyone will see the aftermath of roadkill at some point in his or her lives. At the wrong place and the wrong time, anyone is capable of hitting an animal on the road. But that means everyone has a part to play in reducing that risk. By following these simple steps, you can make the roads safer not only for wildlife, but for yourself as well. Slow Down – To prevent road kill, reaction time is key. You are much less likely to kill an animal or damage your car if you are following the speed limit. Honk your Horn – If you see wildlife crossing the road, honk to scare it out of harms way. For slow moving wildlife like frogs or turtles, stop the car and help them across to safety if it is safe to do so. Look for Patterns – For routes that you commute regularly, take note of animals or roadkill along the side of the road. Are there any parts of the route that seem more susceptible to wildlife crossings? If so, drive with a sense of caution along those stretches of road, and be prepared to brake. Timing is Key – Many species are most active around dawn or dusk, and as a result, most roadkill occurs in the twilight hours. Drive with heightened alert during these hours, and keep wildlife in mind. Be prepared to stop. Report Roadkill – If you do hit an animal, stay calm and report it to the authorities. If you witness roadkill left by someone else, you can help by recording the species and its location with this citizen science roadkill survey. As gross as it sounds, such research helps to pinpoint roadkill hotspots that could benefit from wildlife underpasses and other protective measures. These are just a few suggestions. Click here for more tips on how to avoid wildlife on the road. 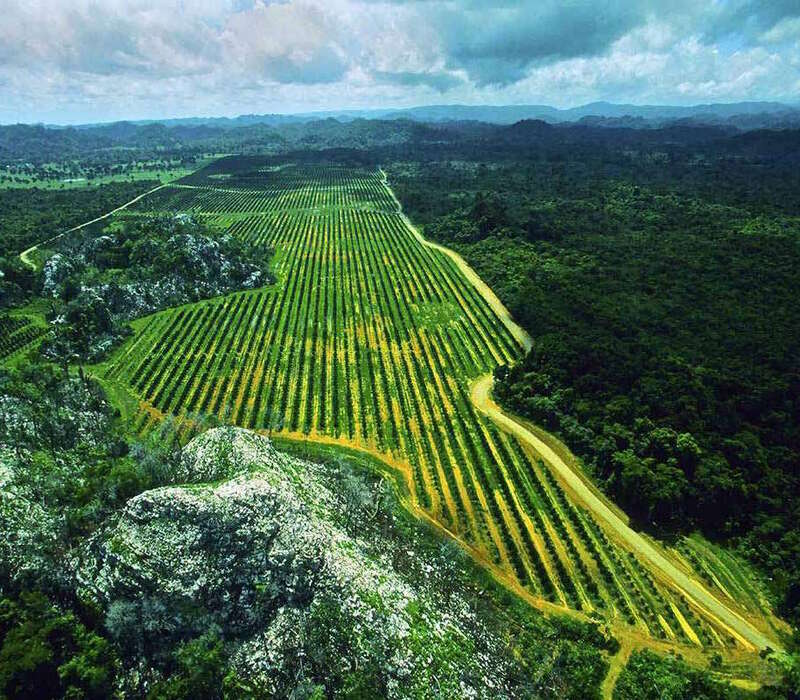 VIDEO – What is Habitat Fragmentation? Take Home Message: Over one million animals are killed on roads every day, but scientists are developing creative solutions to prevent wildlife from becoming roadkill. Reflective stickers attached to GPS collars and fluorescent paint can alert drivers to an animal's presence before it's too late. Roads harm wildlife by fragmenting their habitat, so the most effective strategies for reducing roadkill require knowledge of animal movement so that wildlife corridors can be effectively placed. You can help to reduce roadkill by driving the speed limit, looking out for wildlife and patterns in their movement, and by reporting instances of roadkill to the authorities.